About this time each year, winter annuals rise from shadows of perennial forages and assume center stage in grazing systems across the South. “Winter grazing by virtue of winter annuals is our competitive advantage,” said Dennis Hancock during a recent Southeast Cattle Advisor webinar. The Georgia forage specialist shared a number of his recommendations and observations regarding how to best fit winter annuals into a year-round grazing system. “Ryegrass is our most common winter annual because it produces a lot of tonnage and provides rocket-fuel forage quality, especially in terms of energy,” Hancock said. He noted that the grass has provided 5 to 5.5 tons per acre of dry matter forage yield in Georgia and Alabama trials. “Planted in early October, ryegrass will probably not offer a significant amount of production until we get into February,” Hancock explained. “Under irrigation and with favorable weather conditions, I have seen ryegrass produce up to 1 ton of dry matter per acre in early winter, but this probably shouldn’t be counted on,” he added. Ryegrass is typically interseeded into bermudagrass but can also be grown as a stand-alone forage. 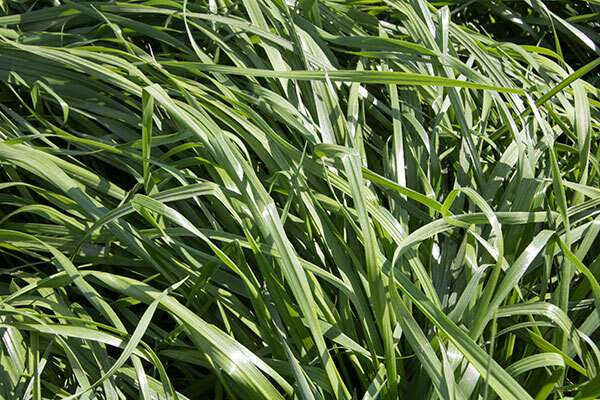 In addition to its exceptional forage quality, ryegrass tolerates poor soil drainage and close grazing. Except for the upper South, it also has good cold tolerance. Though most ryegrasses mature late, Hancock noted that there is some genetic range and early maturing varieties are available. When interseeding ryegrass into bermudagrass, spring management often provides the greatest challenge. “Ryegrass can interfere with bermudagrass emergence in the spring,” Hancock said. “It can weaken the bermudagrass as it competes for light, nutrients, and moisture. We particularly can see a problem with the luxury consumption of potassium in the spring and, at times, stressed ryegrass may exude an allelopathic chemical that is detrimental to bermudagrass growth,” he added. The result of these competitive factors has the potential to cut bermudagrass yields by as much as 50 percent. The forage specialist recommended doing your homework on variety selection. In addition to yield potential, ryegrass varieties also differ in terms of disease resistance (crown rust) and cold tolerance. Hancock suggested checking results from university trials to best match ryegrass varieties with local growing conditions. Even within Georgia, recommendations vary from north to south. “These days, we can do a lot better than planting Gulf annual ryegrass, even though the seed may be more expensive,” Hancock said. Even the best annual ryegrass varieties won’t perform to expectations without adequate soil fertility. Hancock reminded webinar listeners to base phosphorus and potassium fertilizer recommendations on soil test results. Nitrogen is key to producing high yields of high-quality ryegrass; some strategy involving split applications works the best. “Applying some nitrogen at planting helps to encourage tiller production and early season growth,” Hancock said. “It will also benefit later season productivity as a result of having more tillers. Currently, applying 50 to 60 pounds of nitrogen at planting or soon after emergence makes good economic sense based on the price of nitrogen,” he advised. In Georgia, Hancock said that they generally recommend about 150 pounds per acre of total nitrogen for ryegrass grazing systems and 200 pounds per acre for hay production; these applications ideally would be split into three separate applications (early-, mid-, and late-season). In closing, the forage specialist noted that research has shown positive economic yield responses by applying growth regulating gibberellins to ryegrass during periods of slow growth (early- and late-winter). The growth regulator is marketed by Valent as RyzUp SmartGrass and is applied at a rate between 0.3 and 1.0 ounce per acre.